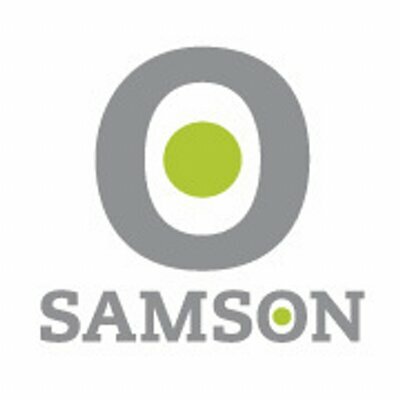 Samson Training was founded in 2008. Samson Training is located in Denshaw House, Lower Baggot Street in Dublin. We have an exellent reputation for delivering high quality training at a competitive price. We try to do business in a flexible and accomadating manner; putting your interests first. We aim to impress you and fufill your training needs with our excellent customer service and enjoyable training experience. You can rest assured that you won’t find anyone more passionate about providing quality training. Samson Training makes organising your company’s training needs easy. We are here to assist you, please contact us as we are delighted to hear from you about your training needs. This course is essential for any one in a managerial role looking to improve and develop their performance appraisal skills. This course will cover the correct preparation and structure appropriate for performance appraisals. It will focus on the importance of clear expectations, correct measurement of performance and using rewards to constantly keep improving performance. This course is designed to improve communication skills in the workplace and in an organisational setting. This course will provide participants with the essential skills necessary for dealing with customers. Participants will develop a greater understanding of customer needs and how to deal with these needs confidently and efficiently. This course is designed to provide participants with the skills and knowledge needed to provide emergency first aid. Emergency first responders can be the difference between life and death in many emergency situations. This course is essential in order to avoid a risk to your business. It is important to ensure that managers and line managers receive guidance to help them deal with any problems which may arise. This is particularly necessary where access to HR is limited or no longer available at all. This course equips participants with the necessary skills and experience to extinguish fires in the workplace safely. This course is designed to raise awareness of fire hazards and train participants on how to act safely in the event of an emergency fire situation. This course is designed for staff whom have a position of authority in relation to fire safety in the workplace. The member of staff should have a certain level of competency and our fire warden training course will provide the individual with the required level of knowledge and skill. This course is suitable for employees who need to deliver emergency first aid before the arrival of the designated occupational first aider. This course is essential as deemed by risk assessment, there must be adequate numbers of trained occupational first aiders on a work premises. This is stated under the 2005 Safety Health and Welfare Act and updated in the May 2008 First Aid Guidelines. This course is essential to all employers as they must provide adequate numbers of trained occupational first aiders on a work premises. This is stated under the 2005 Safety Health and Welfare Act and updated in the May 2008 First Aid Guidelines. This course is designed for parents, care givers, school teachers, crche, and montessori staff. It will provide participants with a full understanding of paediatric first aid for children aged up to 13 years old. This course is essential for management in the food industry as it is based on the skills required to meet FSAI level 3 guide to food safety training. This course is designed to give all participants a greater knowledge of their responsibilities as required by the Food Safety Authority. Participants of this course will gain the skills and knowledge mandatory for all personnel working in the food sector. This course is essential for people who have the potential to be exposed to chemicals in the workplace. Participants will gain a better understanding of the chemicals they deal with and how they might affect them during their work or in the event of an accident. This course will provide participants with the skills and knowledge that will enable them to perform their duties as responsible employees in a safe and appropriate manner. This course is useful for all managers in any industry. A manager should have a good understanding of health and safety legislation. This course has been designed to provide managers with an overview of their responsibilities in this regard. This course will provide learners with the knowledge, skills and attitude to train others to be PHECC registered cardiac first responders. It also forms a core part of the occupational first aid instructors course. The provision of automated external defibrillators (AEDs) in workplaces to assist in the prevention of sudden cardiac death should be considered. Using an AED defibrillator is one of the vital links in the chain of survival. This course is essential for all health care providers. This course is designed to equip the learner with the knowledge, skill and competence to effectively design and deliver people handling instruction in the workplace. This course is designed for instructors already qualified as a patient handling instructor. By completing this RPL course it allows instructors to upgrade their certification to FETAC Level 6. This course combines our patient handling course with our manual handling course. Both courses are essential and as they overlap in areas, participants can save time by completing both at once. Safe patient handling and safe manual handling techniques can greatly reduce the risks involved in heavy lifting. This course will offer an individual the opportunity to train others on the use of forklift trucks. It is suitable for both experienced drivers and those who have completed the novice training programme. It is recommended that each participant has experience in warehousing and logistics. This course is suitable for forklift truck instructors who have been previously certified and wish to update their knowledge and skills. Participants undergo training on instructional techniques, workplace hazards, forklift operator testing, theory and practice. Our manual handling instructors training course will provide delegates with the knowledge and skill to be able to train others in manual handling. This course also provides participants with the ability to manage manual handling risks within their company in line with the new FETAC requirements for the instruction of manual handling. This course is designed for trainers who are already certified as manual handling instructors. By completing this RPL course it allows instructors to upgrade their certification to FETAC Level 6. This course is essential for anyone involved in the use of mobile access towers. It will provide participants with the skills and knowledge needed to safely operate mobile access towers. This course is designed to give the best possible training to personnel who work at heights or use a MEWP (Mobile Elevated Work Platform) in their workplace. It teaches the basic skills needed to operate these machines safely allowing for minimum mistakes and provides techniques that help in avoiding potential hazards. This course is essential for anyone working with overhead gantry cranes or in an area where they are being used. Overhead gantry cranes can be extremely dangerous if operated incorrectly. By completing this course participants will minimalise the risks involved in operating overhead gantry cranes. This course will develop the skills of individuals in an organisation. Participants will improve their knowledge, maturity and ambitions using a facilitation process. This course will teach participants how to plan a presentation and deal with any nervousness involved. This allows for a high quality, natural presentation. This course is essential for anyone looking to improve their sales knowledge and skills. Participants will learn how to find new customers, give interesting presentations and close more sales. This course is designed to help participants recognise the main causes of stress. Participants will learn useful tips on how to manage stress and minimise the negative aspects of stress. This allows employees to remain positive and productive in the workplace. This course will offer an opportunity to all supervisors for analysis, reflection and action that will help them to achieve a better working environment in their work lives. This course will give you the knowledge and skills needed to ensure every customer you speak with over the phone is satisfied. This course is essential for all personnel responsible for VDU assessments in their workplace. In order to complete these assessments they must have reached a certain level of competence. This course will equip them with the relevant knowledge and skills needed to complete these assessments.